Prisoners in New York City will be receiving free copies of the book The New Jim Crow. The controversial book about the mass incarceration of African-Americans will be distributed as part of Legal Aid Society's advocacy campaign. The prison book drive comes right after New York and New Jersey nullified the policies that would have constrained prisoners' access to books, food, and clothes. 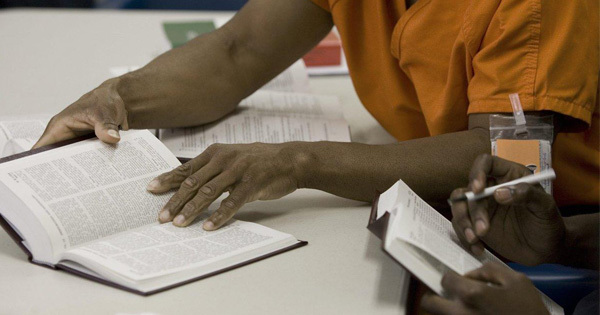 Legal Aid Society believes that "incarcerated clients should never be cut off from accessing books of empowerment that especially unpack the hard truths and explain the inequities with our criminal justice system," as told by Tina Luongo, head of its criminal defense. The best-selling book written by civil rights lawyer Michelle Alexander was banned in North Carolina and New Jersey prisons. The book specifically tackles the nation's long history of racial discrimination. It details the war on drugs and its disparate impact on the number of blacks thrown in prison. It also argues that the prison is "a system of racial and social control" instead of a system that helps prevent crimes. The book has greatly triggered prison activists and criminal justice reformers, thus prison officials believe that its premise implies a security threat. They made efforts to limit the selection of books in the library, charged more money for similar books, and even tried to block charities from sending books. However, the American Civil Liberties Union argued that the ban has violated the prisoners' First Amendment Rights. After the group's protest, officials backed down and lifted the ban. As a result, prisoners could now access the books from the in-house library or the public library system. People can also support the book drive by buying the book through Amazon Wishlist or Legal Aid's website at www.legal-aid.org.